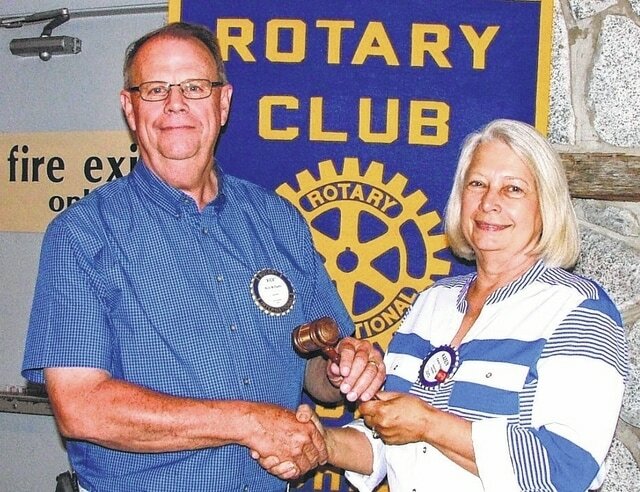 Rick Williams took the gavel from Karen Faust on Tuesday as Williams began his term as the new president of Hillsboro Rotary. Faust was honored for her year of service at the helm, and Maurice Mitchell was honored as Rotarian of the Year. Amatha Farrens and Joanna Mahan were honored as the latest Paul Harris fellows, and committee chairs and board members were recognized. Rotary meets each Tuesday at 11:45 a.m. at the Ponderosa Banquet Center in Hillsboro.